“Which homes for sale near Valencia High School, Valencia CA would mean my children could attend this high scoring school?” Please scroll down for school information and Valencia High School website. This is one of the most important of many questions parents ask when beginning their search for homes for sale near Valencia High School in Valencia CA. It is both disappointing, and a waste of precious time searching Santa Clarita Real Estate if you find homes for sale near Valencia High School you love, and believe that your child can attend, only to find out it is not within the schools attendance boundaries. Look without wasting your time. All homes for sale near Valencia High School. Page is constantly updated and includes Santa Clarita homes in areas of Valencia CA, Saugus CA and Castaic CA within the city of Santa Clarita CA. Homes for sale near Valencia High School and within it’s attendance boundaries are found in Teroro Del Valle, Northbridge, North Park, Valencia Bridgeport among others. You will find condos, town homes, executives homes and single family tract homes within it’s boundaries. Many homes have beautiful views over the Santa Clarita Valley and Valencia CA. Most homes have been built since 1995 and some of the newest homes are found in new home developments in the West Hills area of Valencia in the Valencia Copperhill neighborhoods. 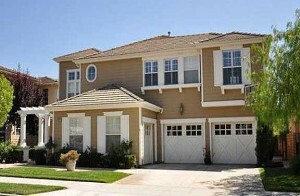 A small number of Santa Clarita homes for sale near Valencia High School are also found in Saugus CA. Newer executive style homes on hillsides overlooking the San Fransisquito Canyon in Hidden Ranch (Pacific Hills) also are within the Valencia High School attendance boundaries. These homes are elegant, and with large square footages. CARING Every person has value and feels supported. honesty in his/her life and to reinforce it in others. through a curriculum that is relevant to the needs of today’s world. SAFETY Every student has the right to learn. Every teacher has the right to teach.